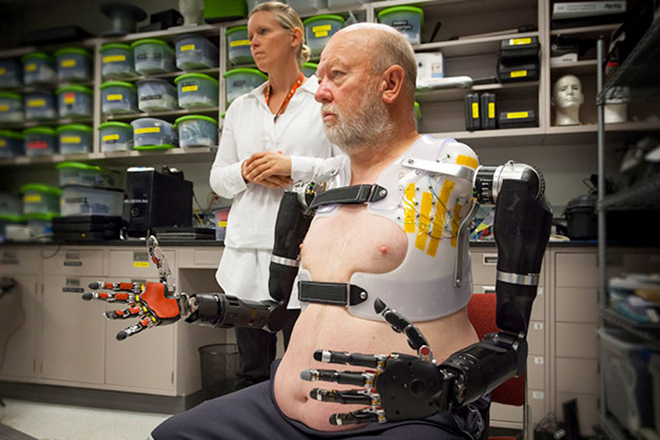 Les Baugh : The World’s First Cyborg? 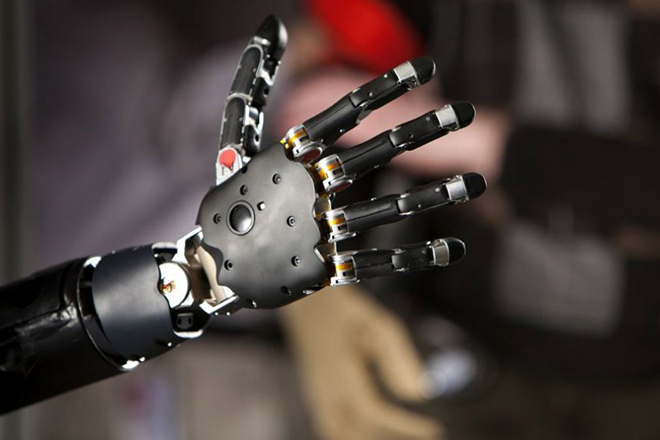 The world’s first cyborg has been introduced by foreign media, a man of his 40s is successfully assisted by robotic hands which he lost in an accident at the age of 17. But with strong will to life, Les soon made his first steps. Now he had to learn living without hands. Regular manipulations became a torture. He needed help all the time with his regular daily routine and somebody had to be there with him all day long. And now, 40 years after he received another chance to start living a normal life again. 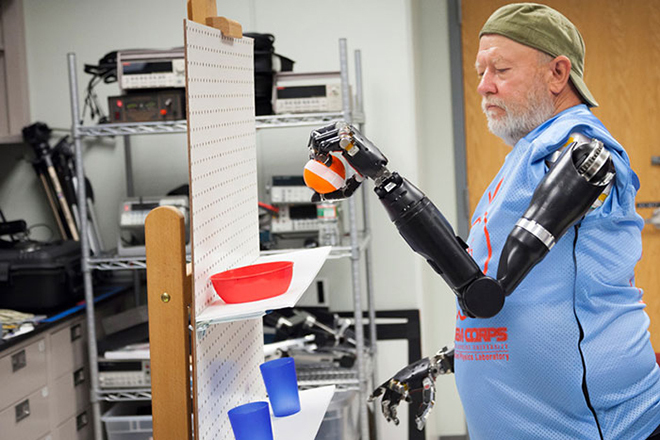 Thanks to Johns Hopkins University’s Applied Physics Laboratory he was given two robotic arms that are controlled with his thoughts only. The prothesis was worked out considering all his needs and requirements. First it was hard for Baugh to learn how to use the robotic limbs, but now he can operate them pretty fast. And the accuracy is impressive – grabbing a ping pong ball is not a big deal for him. To reach these shocking though impressive results, Les had to go under a serious surgery, which is called ‘targeted muscle innervation.’ Dr. Albert Chi, a trauma surgeon at Johns Hopkins Hospital, says that surgery of this kind is a complete innovation. It is called to reassign nerves that once controlled the arm and the hand. They are lately connected to the prothetic arms and guarantee total control over the construction.